Cheshire Nightstop – Nightstop provides 1-3 nights emergency accommodation for 16 to 25 year olds in volunteer households. In 2009 our volunteers provided 119 bed nights. Cheshire West Local Safeguarding Children’s Board – The Cheshire West & Chester Local Safeguarding Children Board (LSCB) is a statutory body. Its purpose is to agree how the relevant organisations in each local area will cooperate to safeguard and promote the welfare of children in Cheshire West and Chester, and to ensure the effectiveness of what they do. Our aim is to work together so that children in Cheshire West and Chester can be safe from abuse or harm at home and within our community. 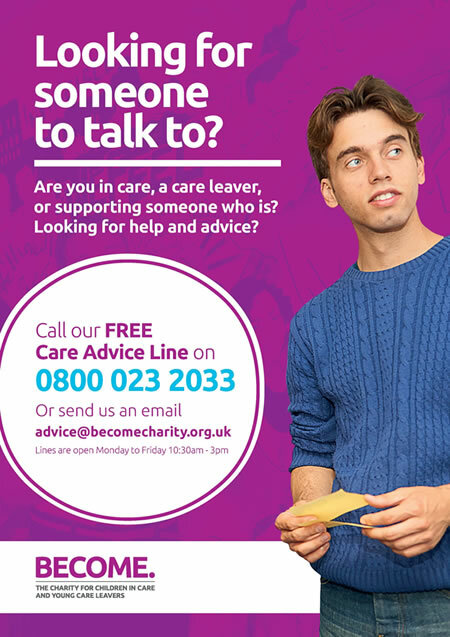 Leaving Care – The Catch22 National Care Advisory Service (NCAS) is the leading national body on policy and practice about young people making the transition for care to adult life. The aim of NCAS is to see all care leavers able to achieve their full potential and aspirations. MyMind – is an NHS website, run by CWP CAMHS. This site has been developed for everyone interested in the mental health and well-being of children and young people across Cheshire and Wirral. The Who Cares Trust – The Who Cares Trust is a voice and a champion for children and young people in the UK living in care. We believe that every child in care should receive the support, encouragement and opportunities they need to enjoy their life and to achieve. Trust HomeChoice – the new way to find housing in the Cheshire West and Chester area. MyWell-being – The team offers online, email emotional well-being support to young people aged 11 -19 years who either live in, or attend school or college in the West Cheshire Area. We offer low level emotional wellbeing and psychological support (which does not meet the threshold for accessing CAMHS) around a range of issues which may include; low mood, stress, anxiety, bullying, bereavement.